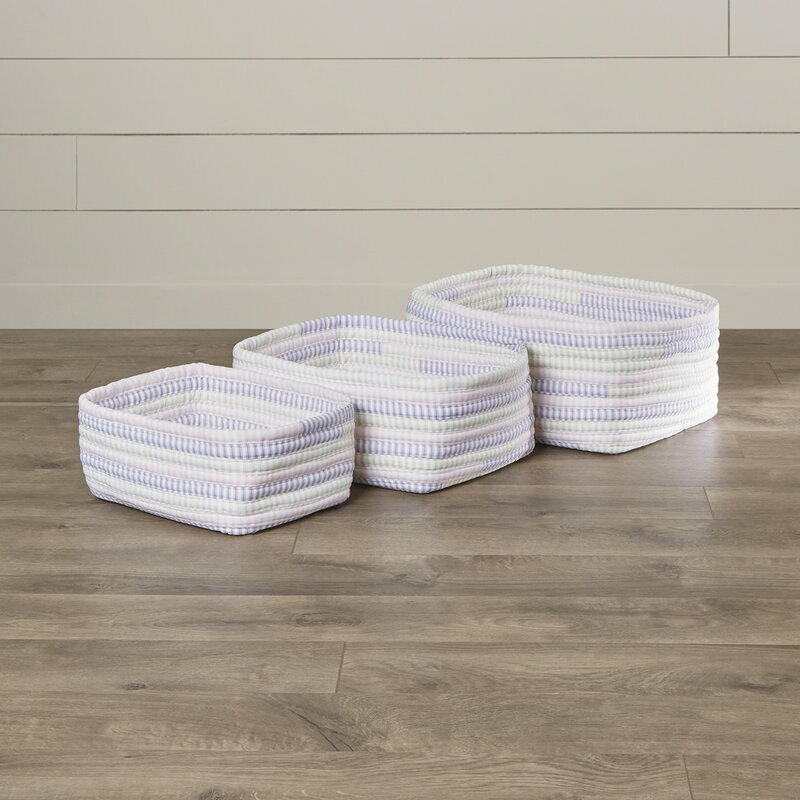 Storing home décor items such as baskets, lanterns, or trays when they are not being used or are out of season can be a real hassle especially if you don’t have available storage space. Instead, consider repurposing those items from room-to-room and season-to-season to keep them useful and decorative all year round. 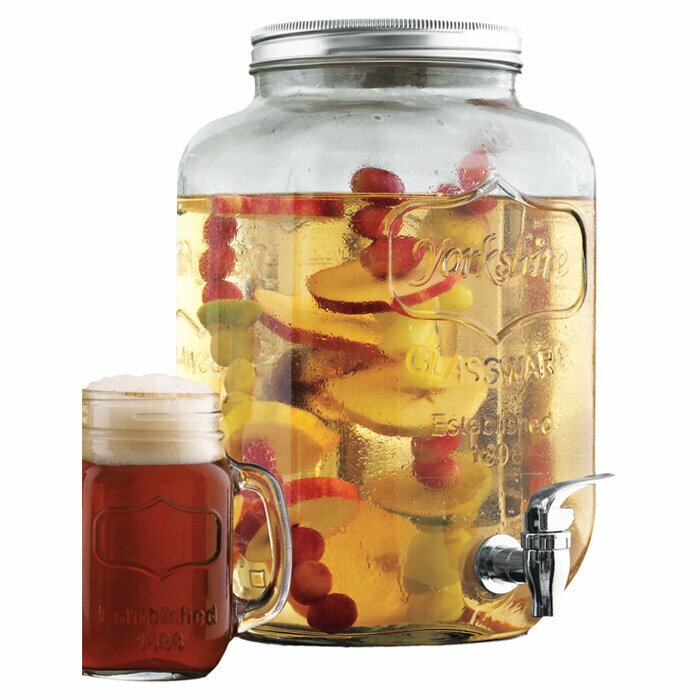 Beverage dispensers like this Mason jar dispenser by Wine Enthusiast are practical, stylish, and great for dispensing your favorite iced tea or lemonade during the summer months. But what do you do with them when they aren’t in use? Fill them with artificial fruit that you can pick up at a craft store like apples, oranges, lemons or limes for summertime, miniature pumpkins or leaves for fall, cranberries for winter, or Christmas bulbs for the holidays. 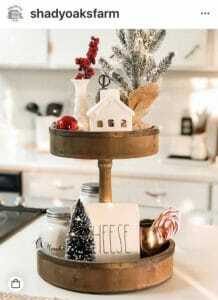 You can also use a footed cake plate as a riser to elevate the beverage dispenser. Just make sure you measure the circumference of the cake plate so it’s big enough to hold the dispenser. Cake stands aren’t just for displaying your favorite cake. Take for example the amazing acrylic multifunctional cake and serving stand by Dakota Trading which provides endless possibilities. The hollow base can become a dip bowl and sectioned appetizer tray, the dome can be used as a punch or salad bowl, or you can use the stand in the kitchen as a pedestal to display your favorite oils and seasonings. 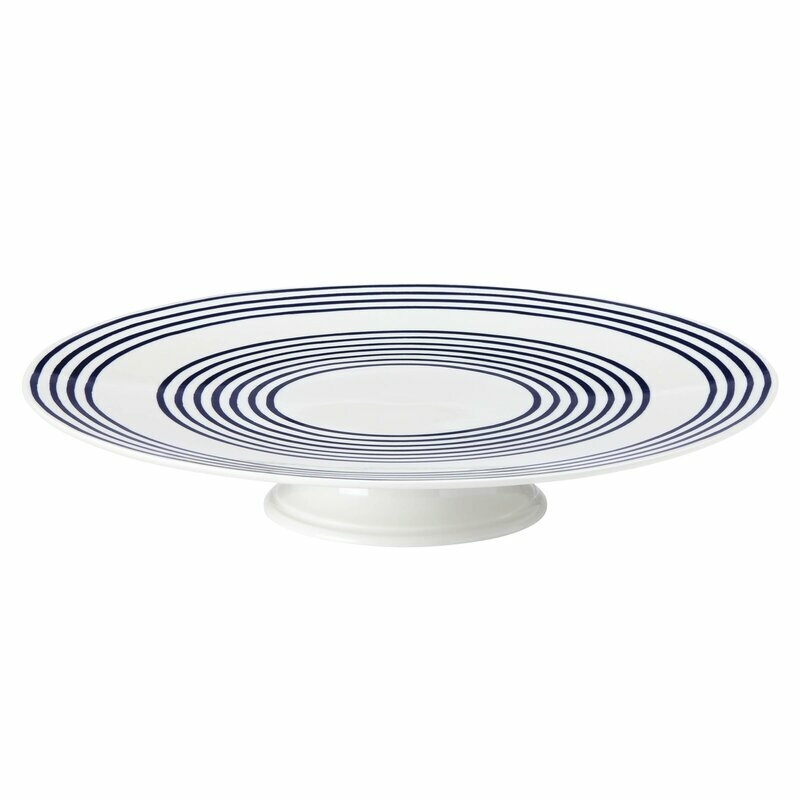 The cake stand by Dporticus can serve as a punch or salad bowl, or to display cakes, desserts, or appetizers. Lanterns like this small Hayloft wooden candle lantern or set-of-three mission-style pillar candle lanterns by Melrose can add a rustic flair to any living space whether indoors or outside. Simply add a candle and enjoy the shimmer and shine. But candles aren’t your only option. Add shells to jazz up a room decked out in beach décor, bright artificial flowers can accentuate the sunshine of summer, small pine cones can add an autumn ambiance, or miniature Christmas bulbs can be added for holiday decorating. 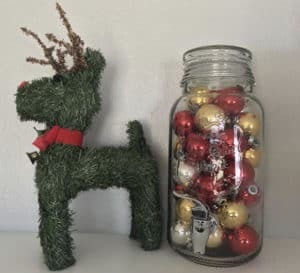 An assortment of sparkling glass jars of varying heights can be a very versatile decorating set. 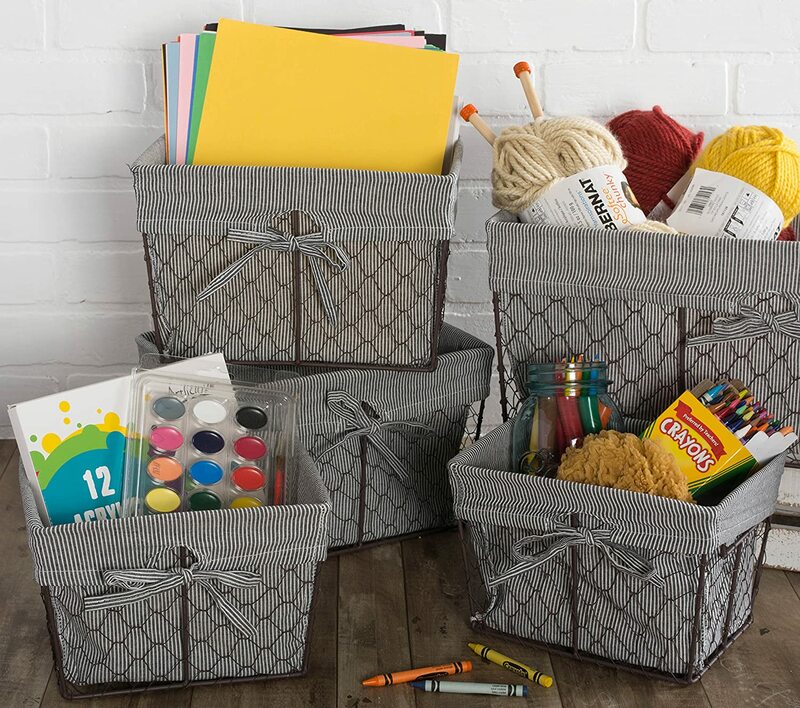 Fill them with different items through the year and add color and texture to their interesting shape. Their height makes for a pretty centerpiece on a holiday table or on a buffet at a party. Apothecary cloche bell jars also make great centerpieces. Metal planters and tubs are the perfect places to plant your favorite greenery or flowers. 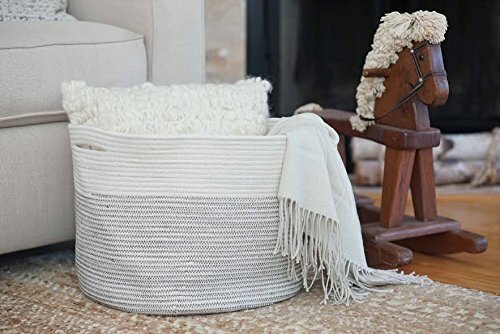 They can also be used to store wood kindling by your fireplace, child or pet toys, or add artificial seasonal flowers or fruits to brighten up a room. Large tubs can be filled with ice and used to hold canned or bottled beverages for your next outdoor get-together. Tiered trays have many uses and are functional from room-to-room and season-to-season. 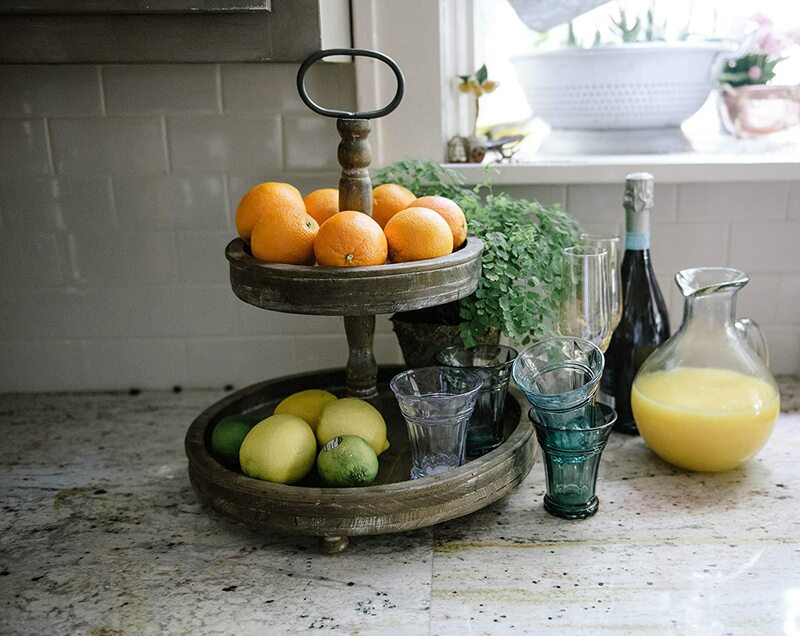 Keep citrus fruit out on the counter and available in a double-decker vintage stand for on-the-go energy. They look bright and colorful and smell wonderful. 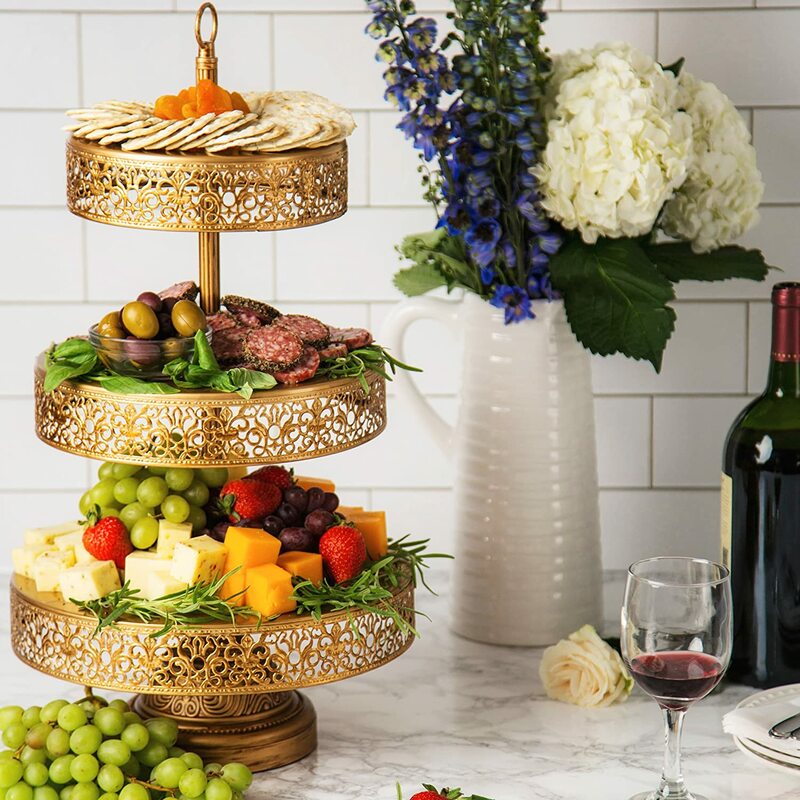 Use a 3-tiered tray stand to display mini tarts, cupcakes, cookies, finger sandwiches or appetizers at a dinner gathering, birthday party or wedding. Set up a 3-tiered coffee station in your kitchen to welcome holiday guests. 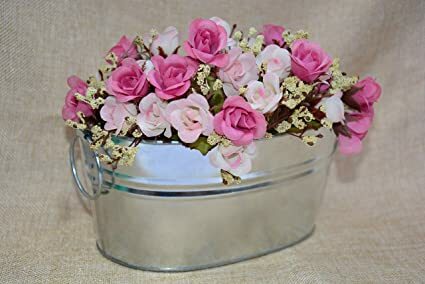 Add a couple of coffee cups, a small dish for teaspoons, a honey jar and dipper, a tea and coffee packet holder, and decorative sugar packet caddies. Decorated with clear faceted acrylic beads, this eye-catching 3-tier silver tone stand adds a touch of elegance to entertaining. Add holiday decor to the stand to give it a festive look. 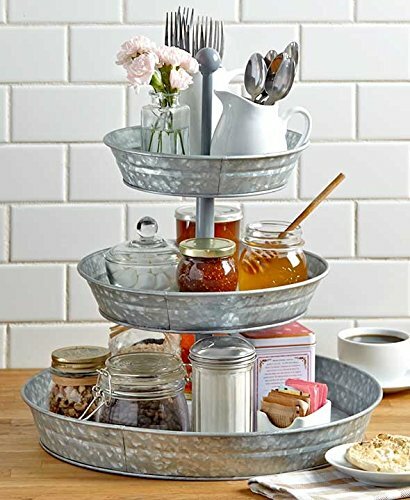 Create a breakfast bar using a tiered tray. This sturdy tray is great for laying out a selection of brunch goodies. Or, create a whimsical holiday display like this one by Instagram user ShadyOaksFarm. Learn how you can tackle clutter with tiered trays. 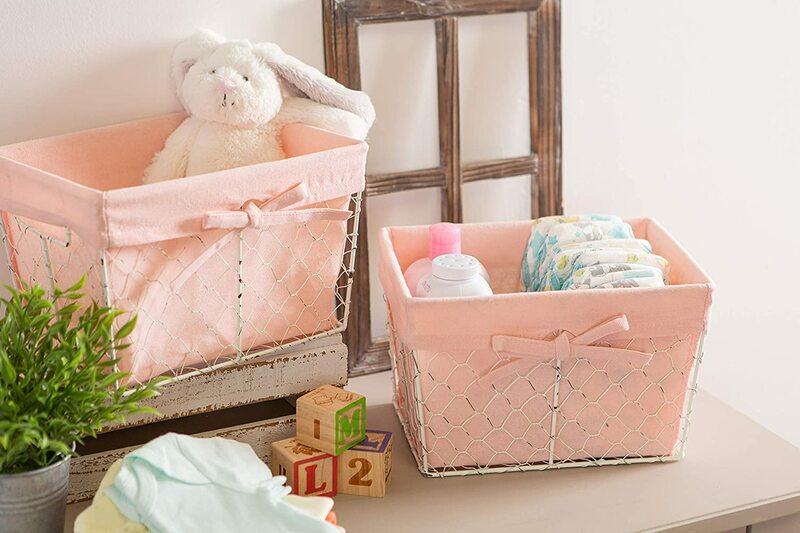 Nesting baskets and crates are extremely functional and eternally stylish! 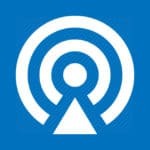 They can be used to keep your living room, bathroom, kitchen or office organized and clutter free. Use wooden crates in the spring and summer to organize food and non-perishable products such as produce, vegetables, fruits, bread, eggs, potted herbs, flowers, garden tools and much more. Adopt a mindset of reusing, recycling and repurposing. Think outside the box and look around your home (and garage) for existing décor that can be used in different ways. For instance, display photographs behind old window frames, and distressed doors and shutters can stand in for a headboard or add a rustic flair to a room just by leaning them against a wall. Don’t store those unused or seasonal home décor items away. Instead, get creative and give your home a new look simply by relocating or repurposing what you already have. 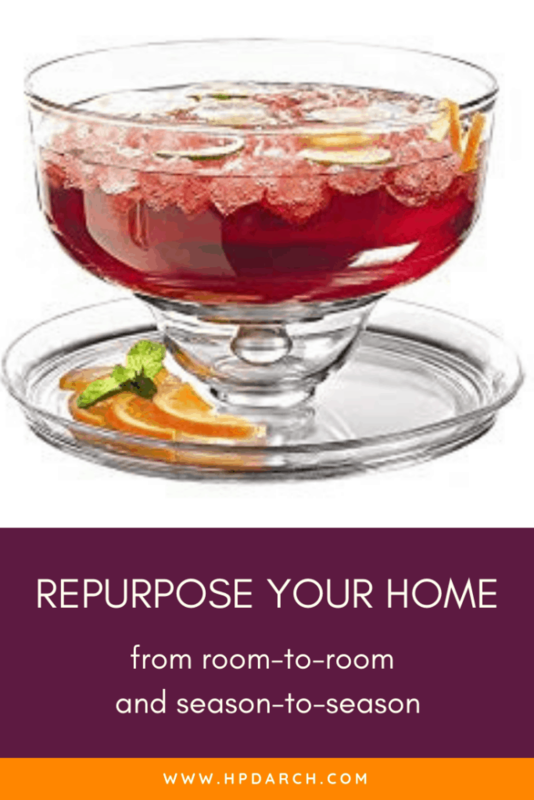 Do you have some great ideas for repurposing home décor from room-to-room and season-to-season? Contact us! We’d love to hear about them! If you want some more ideas for improving your home environment, hpd architecture + interiors can help. Just give us a call at 214.751.2304. Follow hpd architecture + interiors on Facebook and Instagram.